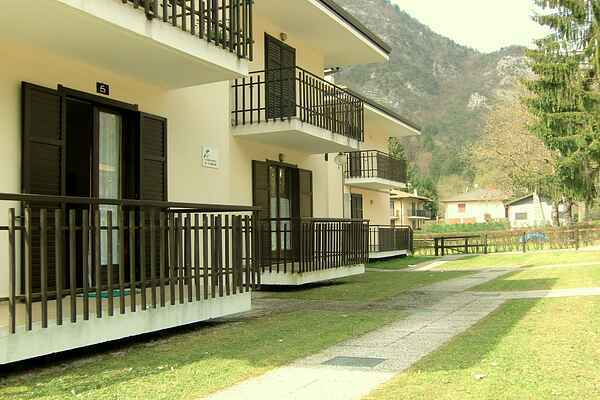 This holiday house is located in a quiet residential area, 600m from Lake Ledro. The town center of Pieve offers all the main services and shops. Nice garden shared with the other guests and reserved parking spaces. The apartment is on the ground floor (slightly elevated) and is equipped with a balcony. The house does not have a centralized system of heating, the heating is provided by a traditional fireplace. For the 2016 season the agency offers an homage to his customers, the "Trentino Guest Card". This is a card services available to tourists, which allows, for free, to visit castles, museums, using public transport, receive discounts on the purchase of local products and activities during their holiday in Trentino. Discover how many benefits and promotions are waiting for you!